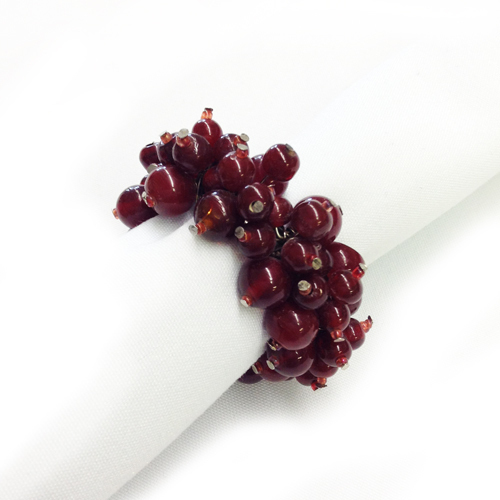 Raspberry beaded napkin rings for rent are the perfect affordable accent for your linens rental from Beyond Elegance. An elegant, quick and easy accessory for that busy setup day. Whether it is silver, gold, red, green, blue, fuchsia... we've got your color!